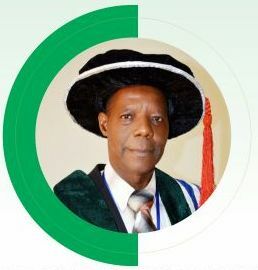 Through its teaching, research and innovative activities, the Edo University Iyamho, is poised to be a major contributor to the advancement of knowledge, wisdom and understanding for the benefit of the university in encouraging and promoting scholarship and will relate its activities to social, cultural and economic needs of the people of Edo State in particular, Nigeria and the world in general. The minimum admission requirement for engineering disciplines are passes at credit level in the Senior Secondary School final year examination or GCE ‘O’ Level in five subjects including Mathematics, English Language, Physics and Chemistry. 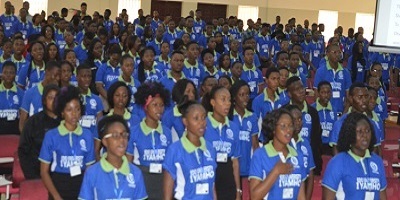 Candidates are also required to have acceptable pass in the UTME. The minimum duration for any programme in the Faculty of Engineering is five academic sessions for candidates who enter through the UTME. Candidates who enter through the Direct Entry will spend a minimum of four academic sessions provided that they satisfy all the other University requirements. Students must pass all the core and required courses, as well. Each student is also to present individual project and also defend it during the oral examinations. The determination of the class of degree shall be based on the Cumulative Grade Point Average (CGPA) earned at the end of the programme. The GPA is computed by dividing the total number of credit points (TCP) by the total number of units (TNU) for all the courses taken in the semester. The CGPA shall be used in the determination of the class of degree as summarized in Table 1. The maximum length of time allowed to obtain a degree in any Department in the Faculty of Engineering shall be fourteen semesters for the 5-year degree programme and twelve semesters for students admitted directly into 200 level. For extension beyond the maximum period, a special permission of Senate shall be required on the recommendation of the Faculty Board. The Cumulative Grade Point Average (CGPA) of a student can be determined by the addition of the Grade Point (GP) at each level taking into consideration the weighting percentage. To calculate the final class of degree for students, the following weighting system shall apply as shown in Table 2. For a student to proceed from 100 Level to 200 Level, the student should not fail more than 9 credit units, consequently any student at 100 Level who fails more than 9 credits units at the end of the Academic Session will be advised to withdraw from the Faculty. 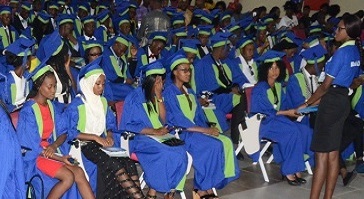 From 200-300 Level, a student is expected to pass at least 24 credit units of the total credit units registered for that Academic Session, while for 400 Level, the student must pass at least 12 credit units before he/she can proceed to the next level. Any student who fails to accumulate 24 credit units at the end of any Academic Session except 400 Level or 12 credit units for the 400 Level Academic session shall be on probation. Any student who fails to accumulate up to 12 credit units at the end of any Academic Session except at the 400 Level Academic Session or 6 credit units for the 400 Level Academic Session shall be advised to withdraw from the Faculty of Engineering. All Engineering programmes are run on a modularized system, commonly referred to as Course Unit System. All courses are therefore sub-divided into more or less self-sufficient and logically consistent packages that are taught within a semester and examined at the end of that particular semester. Credit weights should be attached to each course. Onecredit is equivalent to one hour per week per semester of 15 weeks of lectures or 2 hours of tutorials or 3 hours per week of laboratory/studio work per semester of 15 weeks. Grading of courses shall be done by a combination of percentage marks and letter grades translated into a graduated system of Grade Point Equivalents (GPE). For the purpose of determining a student’s standing at the end of every semester, the Grade Point Average (GPA) system shall be used. The GPA is computed by dividing the total number of credit points (TCP) by the total number of units (TNU) for all the courses taken in the semester. The credit point for a course is computed by multiplying the number of units for the course by the Grade Point Equivalent of the marks scored in the course. Each course shall be graded out of maximum of 100 marks and assigned appropriate GPE as in Table 3. (a) Practical: By the nature of the disciplines in Engineering, laboratory practical are very important in the training of the graduates. To reflect the importance of practical work, a minimum of 9 hours per week (3 credits) is spent on students’ laboratory practical. Furthermore, it is very important to determine performance of the student in the practical component of the programme. To achieve this, all the laboratory practical have been lumped together to form a course which the student must pass. It is expected that the weighting given in the various courses is reflected in number and nature in the design of the experiments. These practicalfollows the trend in the current development of the programmes. (b) Tutorials: There is one hour of tutorial for every four hours of lecture. Thus, a course of one credit unit should comprise 12 hours of lectures and 3 hours of tutorials. (c) Continuous Assessments: Continuous assessment isdone through essays, tests, and practical exercises. Scores from continuous assessment shall normally constitute 30 % of the final marks for courses which are primarily theoretical. For courses which are partly practical and partly theoretical, scores from continuous assessment shall constitute 50% of the final marks. For courses that are entirely practical, continuous assessment shall be based on a student’s practical work or reports and shall constitute 100 % of the final marks. Continuous assessment – 30% (Quizzes, Tutorials, Homework and Tests). A written examination shall normally last a minimum of one (1) hour for one unit course, two (2) hours for two unit course and three hours for three unit courses. All question papers from 100 – 400 levels shall be moderated internally. The external examiner shall be used in the final year of the undergraduate programme (500 level) to assess final year courses and projects, and to certify the overall performance of the graduating students. There shall be appointed Course Adviser(s) who will be responsible to the HOD for each Department in the Faculty. The Course Adviser shall offer guidance and counselling services to students in their academic, social, personal and vocational life. 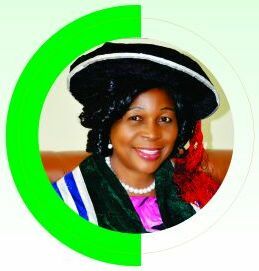 He/she shall be responsible for the course registration of students, recording and returns of student’s sessional results and other duties as approved by the HOD. In Engineering education, industrial attachment is very crucial. 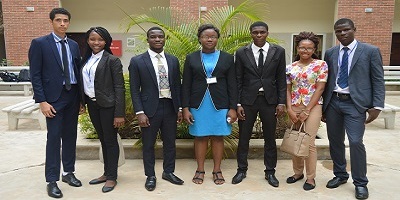 The students areto proceed on eight weeks Students’ Work Experience Programme (SWEP) during long vacation at the end of second semester examinations in 100 and 200 levels. At the end of 300 level second semester examinations Students Work Experience Programme (10 weeks – long vacation); Students Industrial Work Experience Scheme (24 weeks, one semester plus long vacation) is for all students at 400 level. To make the training effective, it is important that the students learn how to operate some of the ordinary machines and tools they will encounter in the industry before they go for the attachment. Therefore they should start with Student Work Experience Programme, which is conducted in the Faculty Workshops, under strict industrial conditions. On successful completion of Students Work Experience Programme, the Students Industrial Work Experience Schemes can be done in industries under strict industrial conditions and supervision. Normally, industrial attachment should be graded and no student should graduate without passing all the modules of the attachment and this shall be used in degree classification. Any of the following shall,prima facie, constitute examination irregularity, misconduct or malpractice in any Department in the Faculty of Engineering. Sanctions: Candidates whose positions are irregular as identified under this heading shall not be allowed to sit for the examination. Where the irregularity is discovered after the candidate might have sat for the examination, such paper(s) done under irregular conditions shall be nullified. Failure to observe silence. The only permissible way for attracting the attention of the invigilator is by the candidate raising of his hand. Smoking in the examination hall or rooms when an examination is in progress. Fighting in the examination hall or rooms. Note: Gross misconduct shall be deemed to have occurred where there is evidence of membership in any secret cult or fraternal organization. Use and/or possession of unapproved electronic gadgets, such as mobile phones, for example, during the examination in spite of a warning. Sanctions: Aside from expulsion or rustication, a candidate found guilty of any examination malpractice (i) to (p) above shall be punished by cancelling the relevant examination paper(s). Any candidate whose paper is cancelled shall be required to carry over the affected course(s). To produce well-rounded morally and intellectually capable graduates with vision and entrepreneurial skills in an environment of peace and social cohesiveness. Acquisition, development and inculcation of the proper value-orientation for the survival of the individual and society. The development of intellectual capacities of individuals to understand, appreciate and promote peaceful co-existence. 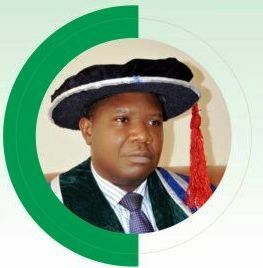 Producing graduates with broad knowledge of the Nigerian Nation and people with a view to inculcating in them mutual understanding and patriotism. 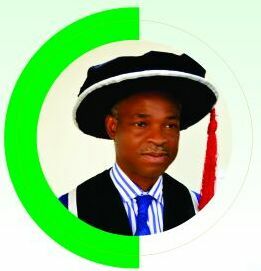 Exposing graduates of Nigerian Universities to the rudiments of ICT for computer literacy and ability to live usefully in this ICT age. Preparing students for a post university life with opportunities for job creation and entrepreneurial skills. Production of graduates capable of communicating effectively (both oral and written). In the first two years, all students in the Faculty of Engineering shall take common courses. The 200 level courses are foundation Engineering courses designed to expose students to the fundamentals of the Engineering discipline in a broad sense. Students can take 3 credits as electives from their programme of study. It is believed that exposing engineeringstudents to the various aspects of the discipline in the first two years of their study, equips them with enough knowledge to determine their inclinations in terms of specialization at a later stage. This view is further strengthened by the fact that an appreciable number of Engineering students have rural backgrounds which limit their perception of Engineering and the sub-disciplines therein. It is believed that after the second year, the wide Engineering horizon would have been sufficiently illuminated for such students, who are now better placed, to make a choice. In addition, a broad-based programme at these foundation levels becomes an asset to its beneficiaries in the future when they are invariably required to play managerial, supervisory and/or executive roles in Engineering areas that may not be strictly their areas of specialization. The general courses to be offered by the students in the Faculty of Engineering during their 100 and 200 Levels are presented below, subsequently, by the detailed course description.